Bamboo Circle is recruiting a team of 20 paddlers to participate in the 40th Annual Boston Hong Kong Dragon Boat Festival on June 8 - 9, 2019. Meet new friends while getting a killer workout and supporting a great cause! No experience is needed. Reminder: No experience required to participate. Practices will take place in May. Are you an employee of Wells Fargo? Come join us to learn how to make your own dumplings. Feeling hungry afterwards? Eat some dumplings too! All ages welcome. Come join our young professionals volunteer group for a fun hot pot lunch! All proceeds from this team-building event will support BCNC’s Youth Center programs. We will meet in BCNC’s fourth floor boardroom. Think you have a great set of pipes? Prove it! Want to take your singing to the next level? Let's do it! 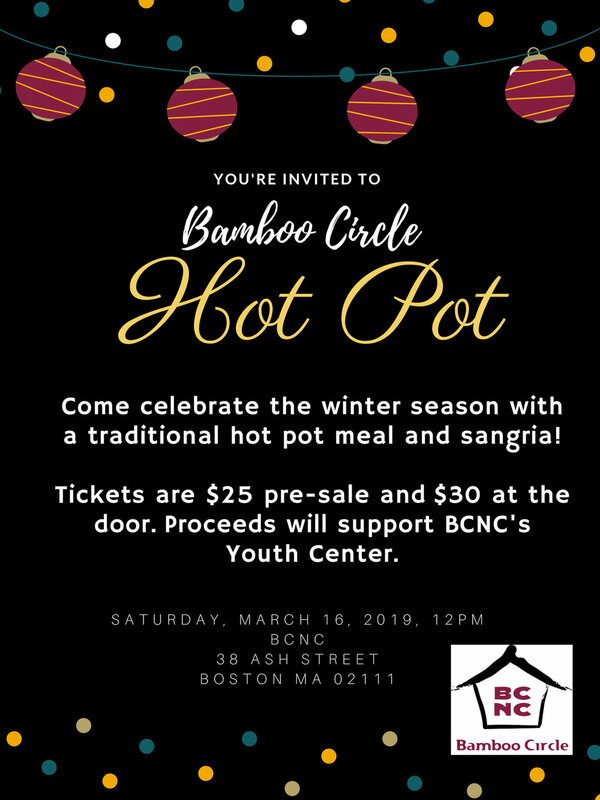 Join the Bamboo Circle in a Karaoke fundraiser to benefit the BCNC! 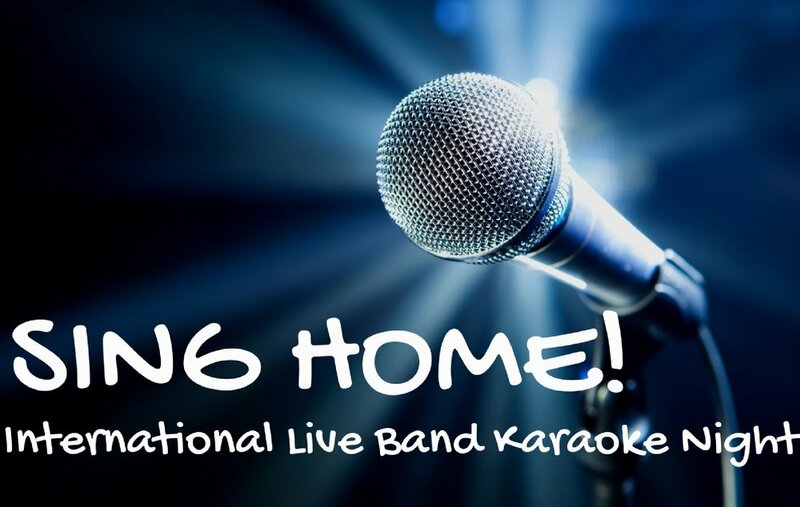 From 7pm-9pm on Thursday, March 7, we will be in Room 1 of Limelight mingling and singing the night away. This event is a great opportunity for seasoned vocalists and beginners alike. 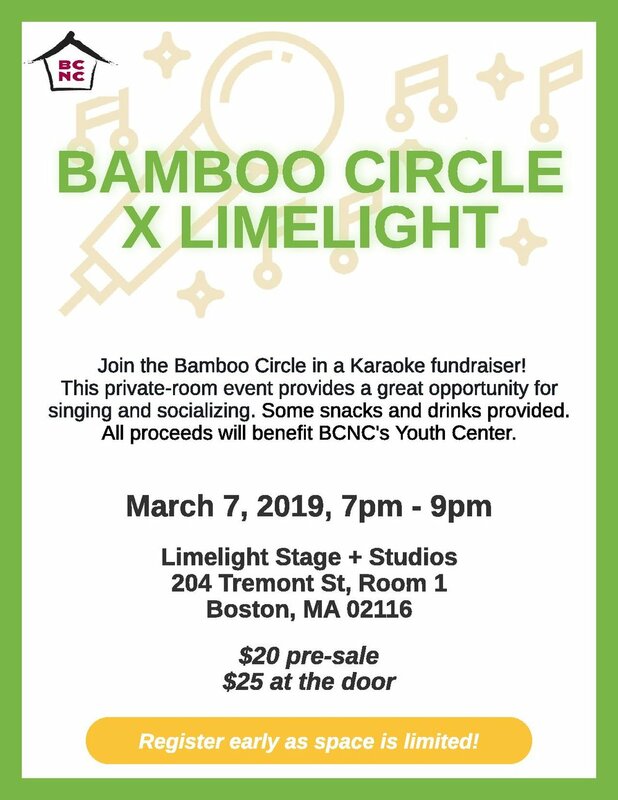 This private room provides a great opportunity for non-vocalists to socialize and get to know other Bamboo Circle members and supporters (see: https://www.boston.com/culture/arts/2017/05/26/where-to-karaoke-in-boston-according-to-an-expert). Register now to lock in the early-bird registration fee of $20/person. Day-of, on-site registration will also be available at $25/person. Your registration guarantees you a slot (or more!) in the spotlight, an enthusiastic audience, and snacks. Does not include extra food or drinks. All proceeds will benefit the BCNC youth center. 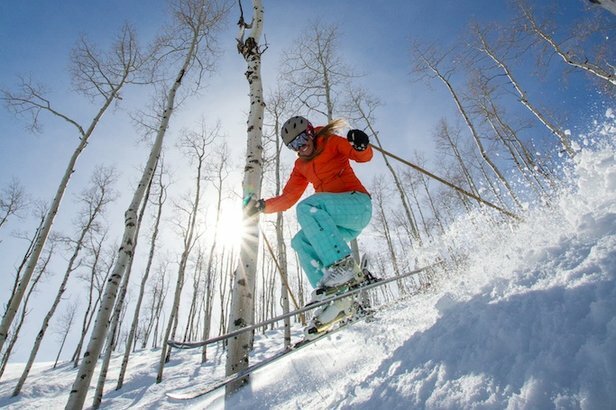 Ski and snowboard with the Bamboo Circle while contributing to a great cause! This event is a great opportunity for first-timers and pros alike. Your registration includes transportation to and from the Boston area (Lechmere, Malden Center, Back Bay, Jamaica Plain/Roxbury, North Quincy, Central Square), lift ticket (3p-10p), equipment rentals, snowtubing (5p-9p), and tips in the beginner areas. It does not include food/drink, helmet rentals ($10), clothing, goggles, or formal lessons. Departure time is approximately at noon and we'll return before midnight. All proceeds will benefit the BCNC Youth Center. To sign up to be picked up and dropped off, please fill out this form. Spots are limited so please register and fill out the pickup/dropoff form soon. The final date to register is 2/26. In the event of extreme weather conditions, a full refund will be provided. Remember: once you have registered, please fill out this form with your pickup location preferences. For details about Pats Peak, please visit their website. If you have any other questions, please reach out to julia.deng@bcnc.net. 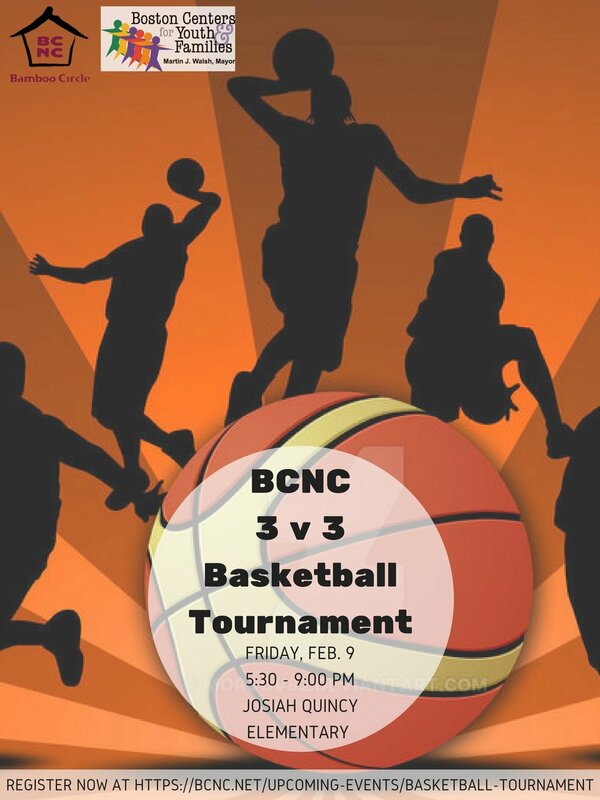 Join the Bamboo Circle, BCNC’s young professionals network, for our annual 3v3 basketball tournament! All proceeds from the registration fees go directly to BCNC's Youth Center, which provides youth ages 13-18 year-round youth development, college access, and leadership programs where youth develop 21st century skills needed to thrive in college and in the workforce. Tournament rules: The tournament will have a double elimination format (your team will be eliminated from championship contention after 2 losses). Eliminated teams can still face other eliminated teams if courts are available. Games will be up to 11 points (straight up, not win by 2), with each basket being 1 point on a half court. The time limit for games is approximately 30 minutes, games may be shortened if score is well below 11 after 30 minutes. The final elimination game(s) will be held on the main court with no other games being played on the side. The games are self-governed, please respect all calls. Clear all balls when there is a change of possession. Teams may consist of 3-4 players, with up to 2 substitutions during a dead ball per game. The winning team will receive a trophy and a $200 cash prize. 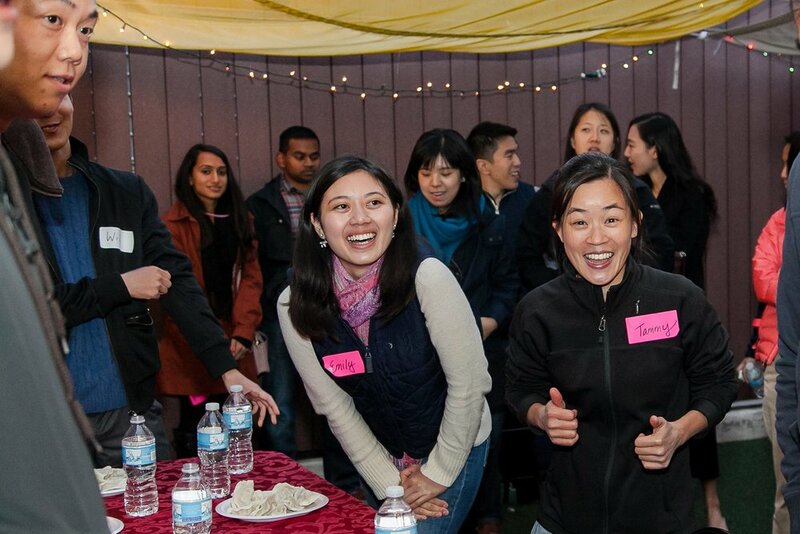 Join the Bamboo Circle, BCNC's young professionals network, for an end-of-summer rooftop BBQ featuring delicious food & drinks, a raffle with fun prizes, and our famous dumpling-eating contest! Co-hosted by Taiwanese Asian Professionals - Boston. Tickets are $25 pre-sale and $30 at the door. Ticket price includes all food and drink, and all proceeds benefit BCNC's Youth Center. 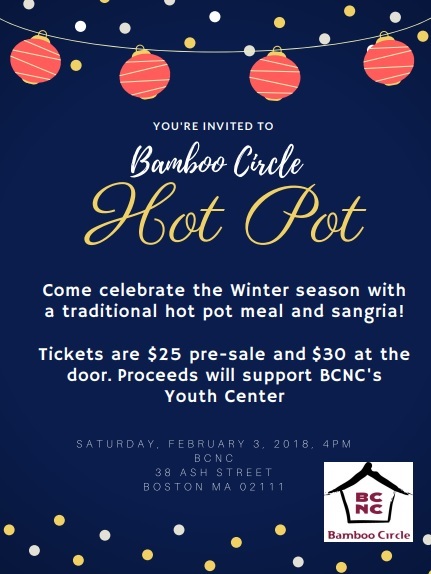 Join the Bamboo Circle, BCNC's young professionals network, for a hot pot dinner! Enjoy this traditional winter meal with other young professionals while supporting a good cause. Tickets are $25 pre-sale and $30 at the door. Ticket price includes all food and drink. 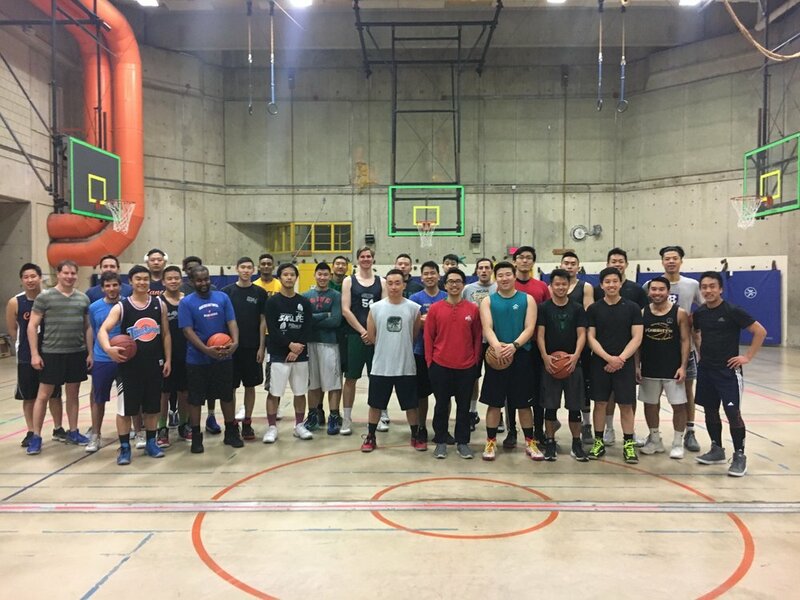 Proceeds will benefit BCNC's Youth Center, which supports more than 150 low-income, Asian immigrant youth annually to participate in leadership, college access, and mentoring programs. 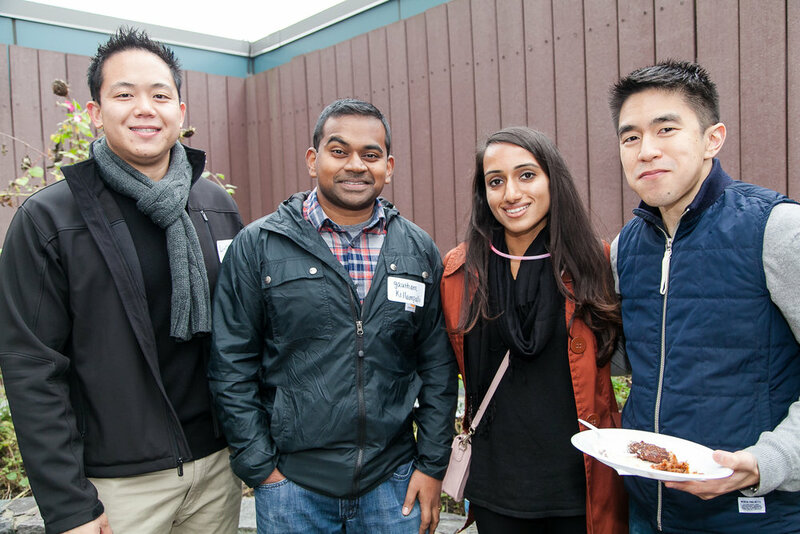 Join the Bamboo Circle, BCNC's young professionals network, for our annual Fall Back to School Rooftop BBQ! Join us on BCNC's rooftop patio for delicious BBQ and refreshing drinks. The night will feature an array of lawn games, our annual dumpling eating contest and awesome raffle prizes. Tickets are $25 in advance and $30 at the door. All proceeds will support the Youth Center. Co-hosted by Bamboo Circle and Taiwanese American Professionals (TAP-Boston). Contact Ally Ang (617-635-5127 x1097) with questions.